Thanksgiving is my favorite holiday and coming from a family of foodies, it’s safe to say we go big. I feel like this is my year to contribute something healthy to the feast that always exceeds expectations, thanks to my father. 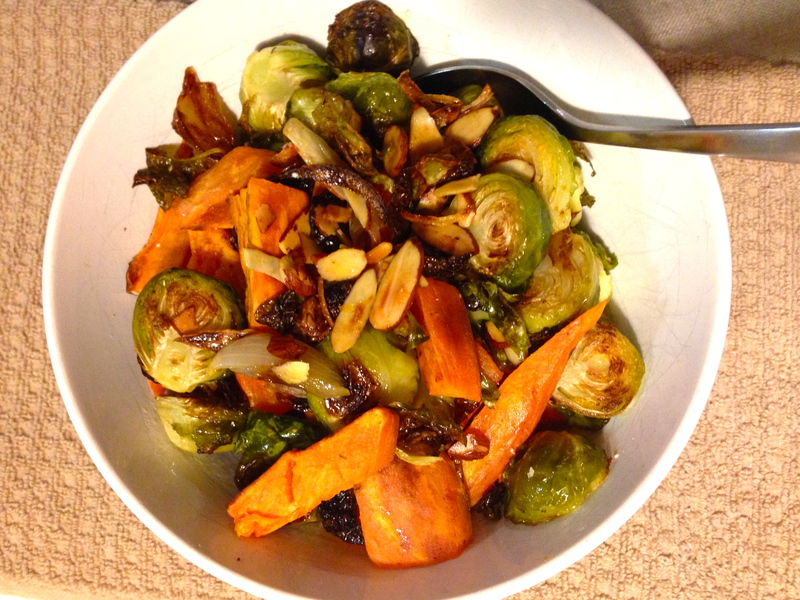 So, I created a delicious holiday-spirited recipe including two of my favorite veggies: sweet potato and Brussel sprouts! I was always that weird child who loved her vegetables and these crispy oven-roasted Brussels were always a close second to broccoli, of course. Packed with protein, iron, potassium and, most importantly, insoluble fiber, I’m on a mission to eliminate the bad rep of Brussel sprouts. Mix it in with some sliced sweet potato for loads of beta-carotene, which is great for eye health, and anti-oxidants to keep your cells healthy to ward off colds!